Android phones are essential in living in this era. We use it to communicate with people, passing time, and even to hide important information. And that’s why protecting your phone is a top priority. If you don’t have some kind of anti-malware app on your Android smartphone or tablet, chances are you’re putting yourself at risk of infections from all kinds of security threats. The Antivirus apps listed here not only offer top-notch malware detection and prevention, they also have a wide range of privacy and anti-theft features. Here are the Top 5 5 Best Security Software for your Android device. On 2015, Sophos Free Antivirus and Security previously won the AV-Test award for best protection. It has been a top performer this year, consistently boasting 100% detection rate for Android malware according to AV-Test (a well-respected independent antivirus testing outfit). It offers robust scanning covering installing, existing apps, and storage media. Specifically designed for Android and powered by SophosLabs, Sophos identifies malicious or potentially unwanted applications that could result in data theft, data loss, and excessive network usage costs. The antivirus scanner can be scheduled to scan files and folders periodically, and the malware database itself is updated daily. You also get an impressive package of extras including loss and theft protection, with support for wipe, lock, alarm, locate and more via SMS. It also has web filtering, password protection for applications, spam blocking, privacy and security advice, among other tools. The Sophos Authenticator makes it easy to manage multi-factor authentication passwords for a multitude of sites. The app also includes a handy QR code scanner which you can use to set up secure Wi-Fi connections. It’s not the prettiest app on our list, but it performs excellently. Best of all this app, along with its multitude of features, is absolutely free without any advertising. There are two versions of Avira: free and paid. The free version of Avira keeps your Android smartphone or tablet safe with its consistently high detection rate and no false positives. It has a light footprint in terms of performance and minimalists design that fits well with the Android platform. Avira generally allows you to scan your apps for any potential problems and scans new apps or updates automatically. In the latest AV-Test, it scored a 98.9 percent for real-time malware and a 99.8 percent for the last four weeks. It offers a lot of extra features like the usual batch of anti-theft tools which help you to find your device, lock it, wipe it or trigger an alarm. There’s also an identity safeguard toll that can tell you whether your email account on the email addresses of your friends have been compromised or leaked. There is also has some blacklisting options that can help you block phone calls or nuisance spams. In the paid version of Avira, it adds an anti-phishing tool, more regular updates and better support. AVL is a former winner of the AV-Test award for best protection of mobile devices made by Antiy Labs. This app scored a 99.8 percent rate for real-time Android malware in the latest tests, rising to `00% for malware from the last four weeks, with absolutely no false positives. 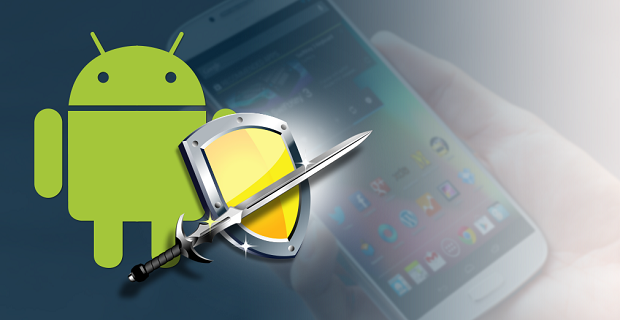 AVL mobile antivirus features an antivirus database, provides basic functionality of virus scan and protects your Android phone from malicious Android apps. It provides abundant configuration options of detection switch which can scan the malicious codes of smart phones at different levels, which can balance the scan speed and detection capability. The scan is capable of detecting any kind of executable file entering your device. Other features include a call blocker, as well as an anti-phishing feature to stop harmful websites from loading in the first place. The app is also designed to be light on your phone, which is a plus for those with minimal battery life. This app also has a paid version, AVL Pro, available. In terms of paid antiviruses, Bitdefender is recognized as one of the best Antivirus in the market today. Bitdefender is a big name in the security community. It offers flawless malware protection, minimal performance impact and robust privacy-protection tools while incorporating Android Wear watches into the app’s anti-theft features. Unfortunately, there is no scheduled malware scans and no freemium option either. There is only a free 14-day trial. But for the cost of $15 per year for every device, Bitdefender Mobile Security is worth buying. The separate Bitdefender Antivirus Free is extremely lightweight. It doesn’t run in the background which frees up system resources, though this means you’ll have to schedule scans or run them manually to be safe. Though, any new apps downloaded to your device is automatically scanned. As soon as it is installed, there are no additional configuration required. Avast is known as an antivirus giant for not only computers, but also for android phones. The app is now completely free (now supported by ads) and includes everything from a privacy advisor to a customizable blacklist. The ads can be removed by paying a small monthly or yearly premium. Avast has a web shield that scans URLs for malware, scans your apps to provide details on what they’re doing, a call blocker and app locker, and Wi-Fi scanning options for improved security and speed. Unfortunately, its malware-detection rate is now inconsistent and its system impact is heavy, which is not good for those who are trying to save battery life. It also used to have features exclusive for rooted devices, but unfortunately, most were discontinued, such as the backup option and a locate function for those devices that survived a factory reset. We still recommend Avast Mobile Security as one of the best free Android antivirus solution for your phones. I really found this post informative and I enjoyed reading it! Will look forward to such stuff in future too! Antivirus are a must for any network or internet connected computer, to detect, remove and prevent all sort of malicious software !